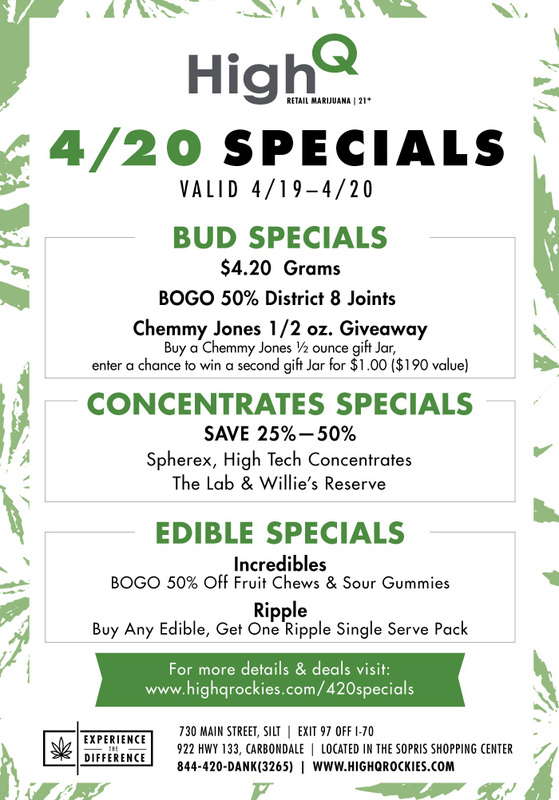 A list of High Q’s 420 specials in the western slop area. *Offers valid while supplies list. See stores for details. Some restrictions may apply.